This book is part of a series designed to introduce children to how other people live in different countries and during different time periods. 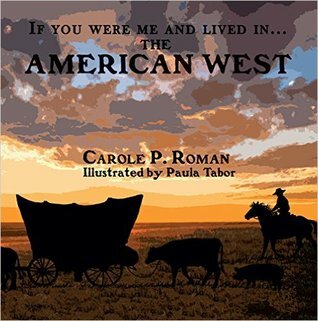 Using a mixture of illustrations and photography, the author talks about children who lived when the American West was being settled and what life might have been like if you were a little boy or girl who lived during that time. She talks about location, family, food, and fun. The difficult or unfamiliar words have a pronunciation beside them and are all included in a pronunciation guide at the back of the book. My children really enjoy this series and look forward to each one. While the style of the book is laid out like a story, this is non-fiction and more informative. Children will learn quite a bit about the the history from the view point of other children around the world while having fun reading. I would recommend this book for family fun or for schools as an addition to curriculum. Nine authors have written sweet Christmas stories of romance in the mountains. 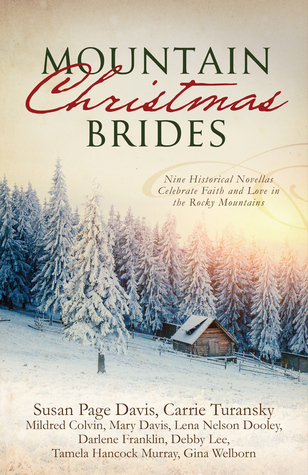 Each story is tied together by the theme of faith, Christmas spirit, and celebrations in the mountains. I enjoyed all of these stories, but a few were favorites of mine. And there were a couple that I've read previously, either in another novella collection or a single book. But it was nice to go back and re-read them. This book would be the perfect companion on a cold winter day to curl up with a blanket and get into the Christmas spirit. 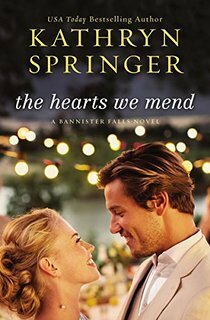 Each story is tied together by the theme and a couple had characters that overlapped. Overall, I enjoyed the book and look forward to reading more by these authors. Years ago Beckett was lost his footing and his best friend. Now he is returning for a wedding after six years of being absent from Maple Valley. He plans to turn himself into the police right after the wedding. And he hopes to get his best friend Kit back again too, since she's also in town for the wedding. But things don't always work out as planned. 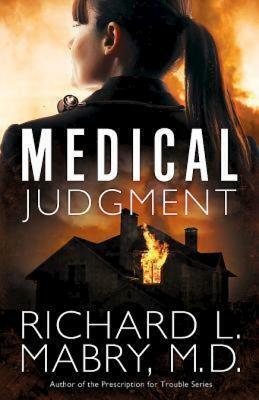 Kit might lose the place most important to her, and Beckett might lose his dream of being a military lawyer. Often the darkest days hide the very best plans that God has for us. I'm in love with this book. The two main characters fit so perfectly together. 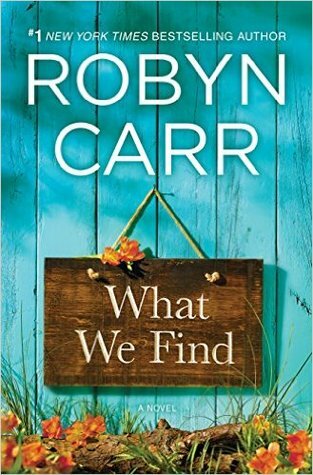 The author does an excellent job of portraying the Walker family as flawed, but so loving and forgiving. They are the family everyone wants. The story came alive from the very beginning and I rushed through the book, but then was sorry when I finished. The author pulls you in and makes you feel like a part of the town. The characters are so rich and diverse. The book is part of a series and all of the town's quirky characters are present as well as all the members of the Walker family, but the book could also be read as a stand alone. Although I'd highly recommend reading the previous books first. You won't be sorry. This author became a favorite with her first book, but each book is better than the last. 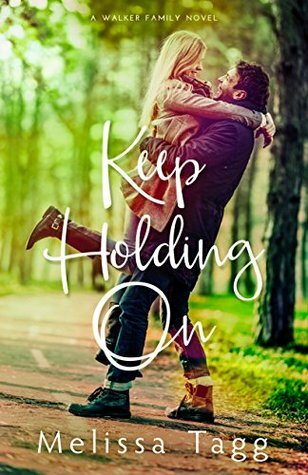 If you enjoy great visuals, faith-based plots, strong families, sweet, clean romance, humor, and a captivating story you'll fall in love with this book like I did. The most important job as Christian parents is to guide our children towards a relationship with Christ. But often the mundane tasks of life and trying to stay on top of everything gets in the way of the more important things. 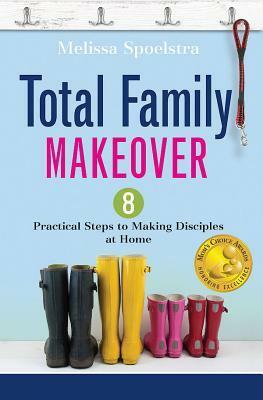 The author has created a guideline of sorts that will aid parents as they journey through parenting and help them mold disciples for Christ. Each chapter begins with some thoughts on one of the steps toward making disciples. The author uses scripture and personal stories to guide the reader. The rest of the chapter is divided up into sections labeled modeling and training. There are practical suggestions for implementing the steps into your home. The chapter ends with discussion questions and a lot more scripture. First - the cover is adorable and definitely made me want to pick up the book. Second, I loved the author's writing style. She made the information interesting. Her practical advice wasn't overwhelming and I finished feeling encouraged and inspired. While I read the book by myself, I can totally see this being used in a parenting or women's study group. The discussion question really made me think and I loved all of the scripture she used to back up her thoughts. I would definitely recommend this book to any parent who wants a little guidance in the area of making disciples. I received this book free of charge from Litfuse. I was not compensated for this review and all opinions are my own. Authors and publishers will often send me a book called an ARC (Advanced Reader Copy) to review. This simply means that the book hasn't been published yet. They might change the cover slightly and every once in a while some errors are found and corrected. But basically, it is the same book. These are the books I'm going to be giving away today, because if I like the book I'll support the author by purchasing the book once it's been published. So now I'm passing on these books in hopes that you'll find a new author to read too. Make sure that you put ALL of the books you are interested in, in the comments. If someone chooses the same book as you, the rafflecopter will randomly choose a winner. If you are the only one who picks a book, you are guaranteed to get the book. And don't forget to leave your email so I can contact you when you win. Avery hasn't seen Prince Colin since before he ditched her before senior prom. In fact, she hasn't heard a word from him for five years. So she's not looking forward to joining her mother in Brighton as they visit her sister Susanna. Susanna is pregnant again after numerous miscarriages and wants her family around for the holidays. But after the death of her father Avery feels like she's drifting and hopes that she won't run into Colin so she can regroup and figure out what her next plan should be. This was so romantic. I'm a sucker for romantic fairy tale type stories and this one hit every point. I've enjoyed every single book in this series, but for some reason, this was my favorite. Perhaps the books just keep getting better or maybe it's because it was set during Christmas. Either way, this was romantic, faith based, had a strong sense of family, and also had some elements of surprise and drama. The author did a great job of bringing in previous characters without overwhelming the story. I thought the two main characters fit well together and their romance was so sweet. The epilogue at the end of the book was fairy tale perfect, but also made me a bit sad since it signaled the end of the series. While this book can be read as a stand alone, I would advise you to read the previous books first. They will complete the story and I promise you won't be sorry. Ariel has returned home a widow and pregnant with a little girl. When a man tries to kill her in her classroom she turns to the uncle of one of her students, Tristan. He's an officer with the K-9 unit. His team is working a case that involved the death of one of their own. Does Ariel's case tie in or are all of these incidents random? Tristan vows to protect Ariel while finding out the reason for all of the attempts on her life. This was a very fast-paced story. 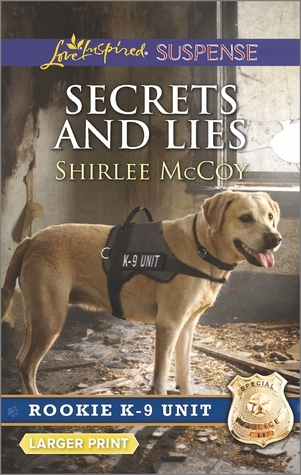 The author did a great job of creating tension and suspense, while still having a romance simmering in the plot. The characters were authentic and I was able to relate to them. The story is part of a series and I realized I had missed some pieces by not reading the other books, but it didn't detract from the story or cause me to dislike the book. Overall, this was a great story that I enjoyed and I plan to read more books by this author. Perla has hidden a secret for most of her life, the identity of her daughter's father. But before she can reveal that secret she suffers a stroke. When her granddaughter, Ella, moves back to help take care of her grandmother and get away from a bad relationship. The story switches voices and time periods as it tells the story of the two women and weaves the tapestry of their secrets. I've enjoyed all of the books by this author. This book has been my favorite. 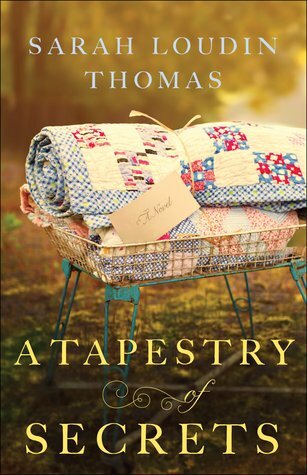 The rich history, strong family, faith filled message, and sweet romance all blend together to create a beautiful story that I thoroughly enjoyed. The author creates such be vivid word pictures that I was drawn into the plot and felt like I was there. This is truly an inspirational story with faith playing a very strong part in each person's life. Definitely a book I would recommend if you enjoy historical fiction, clean romance, and a strong sense of faith and family. One of the hardest things a parent can do is let their child go in to the world, knowing there isn't anything they can do to help or guide them. 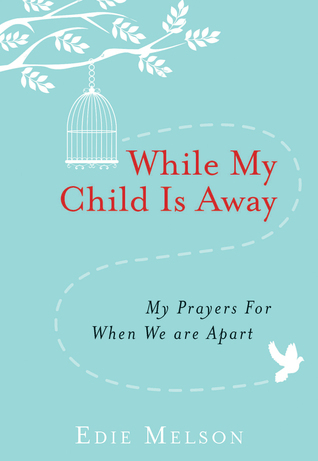 The author of this book has written some prayers that parents can pray for various situations when the parents are parted from their children and the only option is to pray. Prayers, scripture, and some wisdom in the form of devotions all mix together to create a comforting and hopeful book for parents. First, I loved the cover of this book, so calming and beautiful. The book is compact, so easy to take with you. Each prayer is specific, not very long, and accompanied by a Bible verse. The book is divided into nine different sections that cover a lot of the different scenarios that a parent might encounter with their child. This would be a wonderful gift for a parent, especially one that has a child leaving the home for college, marriage, camp, etc. The Berenstain Bears are a favorite with children. 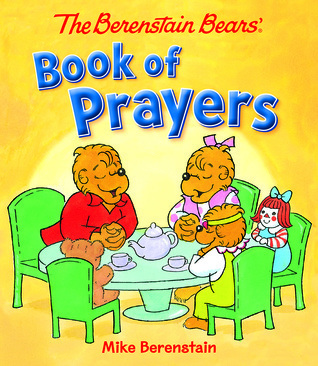 Come along as the little bears learn more than fifty different prayers for different occasions. Bright colorful illustrations will delight both children and parents. The book is smaller to fit toddler hands. The puffy cover and board book pages will make turning the pages easy. Each prayer is short enough to keep the attention span of the child, but is heartfelt and meaningful. The accompanying pictures will help the little ones understand what the prayer is for. My children are a little old for this particular book, but love the Berenstain bears so wanted to keep the book and look through it. We will be gifting this to a friend, but had to check it out first. I would have loved having this when my little ones were toddlers. The author did an excellent job of matching the illustrations with the prayers and capturing the thought that we can talk to God about anything and pray anywhere. This lovely book would make an excellent addition to any home, preschool, or church nursery. Villette is a world traveler and award winning photographer. 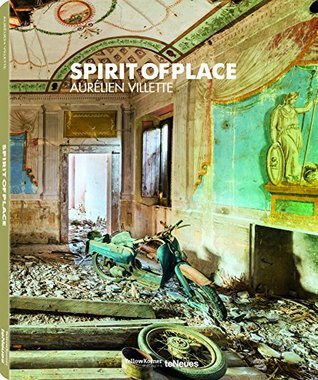 He has taken photographs from several of his architectural series and put them together to create this beautiful book. Each photograph is a masterpiece that calls to the viewer. We are often fascinated with the beauty in ruins, the history that is still speaking to us, the way earth seems to take back what belongs to her. Villette has captured these moments with an eye for the essence that calls us to notice. The coffee table size book begins with a cover that will grab the viewers attention. The forward, written by Harold Hinsinger, is in three languages and is eloquent and provocative. Each picture fills the page with color and inspiration. I fell in love with urban decay photography years ago and feel that this artist really captures the essence of the craft. Each picture seems to capture the beautiful that is still in the decaying buildings and tells a story of an era gone by. A word about the publishers - I have had the privilege of reading quite a few of their books and I have yet to come across a book published by them that isn't outstanding in quality and character. I absolutely love their work.Overall, this is a book that I would highly recommend for its quality photography and excellent workmanship. I received this book free of charge from teNeues Publishing in exchange for my honest review. 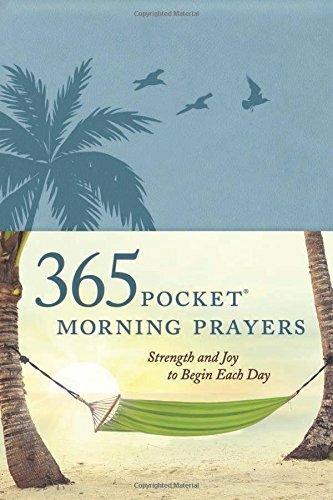 Begin each morning with a devotional from the pocket prayers book. Each of the little prayers will set your heart and thoughts in a direction of strength and joy for the day ahead. The prayers are numbered, but do not have dates so the book can be started at any point. And if a day is missed, can be picked up where the reader left off. Each prayer has a title that says what the prayer will be about. The prayer is followed by a Bible verse that ties in with the subject. I love the cover. The light colored section is like a book cover and comes off, leaving the light blue leather. It's a small book that can be placed in a purse or bag. The author's writing style is calming and he pulls the prayers and scriptures together well. There were several prayers that I felt wouldn't apply to everyone, like the pastoral prayer. But if the reader uses this as a supplement to devotions or as something to bring comfort when needed, I think it would be a great addition. This would also make a wonderful gift. Lily has inherited her great-aunts home. Her aunt was a bit obsessed with tea cups. So Lily is sorting through them when a young man, Theo arrives at her door. 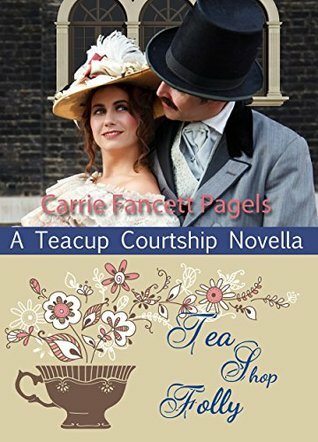 He has mistaken her for a local tea shop. Lily isn't sure how to explain so she sells him one of the tea cups for his mother. Neither of them realize the situations they will be placed in because of that first misunderstanding. This is a novella, so isn't very long in length. As is often the case with short stories, there was a lot left out or left to the reader's imagination. The story is cute and would be enjoyed by fans of clean romance, historical fiction, and short stories. The main characters are entertaining, as are the several of the secondary characters. 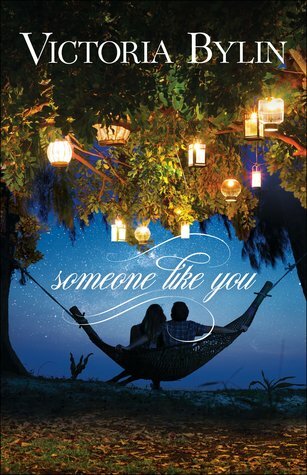 The romance ignites quickly, but is clean and would be appropriate for the younger readers. 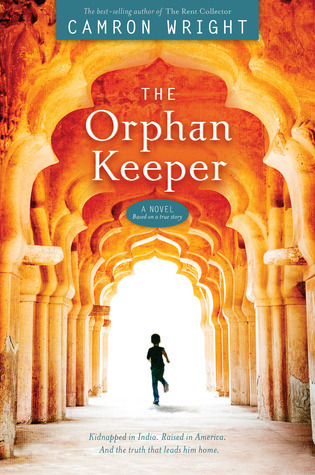 Chellamuthu's life is completely changed when he's kidnapped and sold to an orphanage. Despite his assurances that he has a family, he's ignored and adopted out to an American family. His name, country, family, and life is completely changed. Now called Taj, he tries to balance the life he knew, with the life he now has. Will he ever return home and be re-united with his family? And what of the family here that loves him? This was an intense book. The writing style is similar to many Indian writers that I've read before. So I think the author picked up on the authenticity of the origins of the story. The story is based on a true person, but has some of the events and people fictionalized, thus making it a novel. The beginning of the book was very difficult for me to get through. It felt like it dragged. But once I was about half way through, it picked up and I sped through the last half. The author writes with great descriptions and fleshes out the characters so the reader can relate. It's a large book, but flows smoothly enough that won't bog the reader down. Overall, I can see this becoming one of those book club books that everyone loves to read and discuss. So while not my favorite, I think it will be a hit with quite a lot of people. I received this book free of charge in exchange from Smith Publicity for my honest review. This is a personal testimony of a woman who has been through pain and abuse and used her faith to overcome the obstacles in her path. The devil is whispering in our ears that we are worthless and hopeless, that we can't be used. But God created us beautiful. He loves us and longs to show us the gorgeous parts of us inside. If we will just listen to His loving voice, we can begin the healing journey. It took great courage to share such a tragic, but ultimately beautiful story. The author wrote from a place of personal pain with the hopes of helping someone else deal with what she went through. Her message is full of hope, redemption, and steps towards healing. 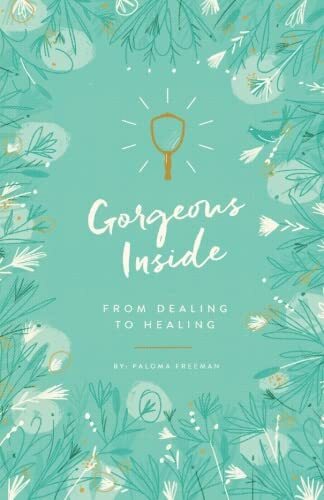 This isn't just a testimony, it's a detailed look at how the author used scripture to heal and become the woman that God created her to be. This is a small book, but I think will be very impactful for those who have been in a place of hurt and are looking for a change. I liked how the author inspired change and positive thinking in addition to all of the faith based solutions. I would recommend this for small groups or personal study. 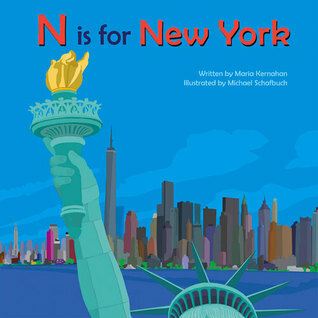 This is a fun, children's book about New York using the ABCs. It is part of a series that tours places all over the United States. Starting with A the author talks about landmarks and monuments all around New York City. Bright, colorful illustrations fill every page. Colored font and highlighted words make the words pop from the page. Tiny details in each picture help tell the story and keep the attention of the young reader. When finished a child will feel like they've been on a virtual tour of the beautiful city. My daughter loved this. She has poured over it several times after I read it to her. She can read herself now, but still enjoys looking at the pictures and talking about the book with me. This is a wonderfully made book that will be a keepsake for our family. We look forward to adding to the collection. This book would be excellent for a home, home school setting, or preschool. It has multiple layers of learning that teachers will really appreciate it. This book is part of a series designed to introduce children to how other people live in different countries and during different time periods. 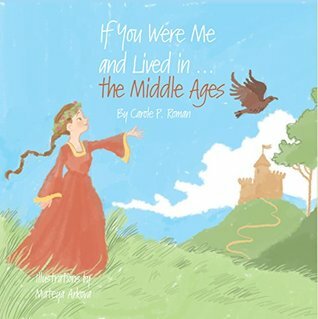 Using a mixture of illustrations and photography, the author talks about children who lived during the Middle Ages and what life might have been like if you were a little boy or girl who lived during that time. 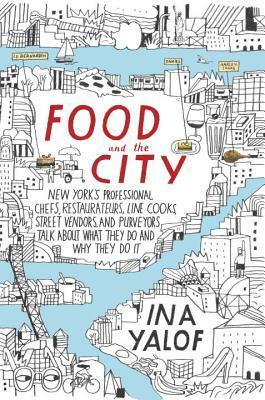 She talks about location, family, food, and fun. The difficult or unfamiliar words have a pronunciation beside them and are all included in a pronunciation guide at the back of the book. 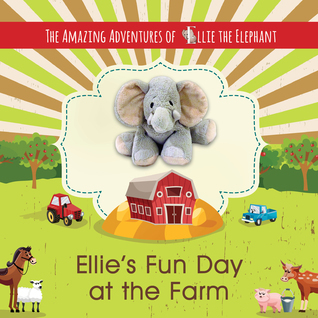 Ellie is a little grey stuffed animal that enjoys going on adventures and trips. In this book, she gets the chance to visit a farm for the day. She takes along her friend, Pudgy, a penguin. They learn all about how farmers take care of animals and grow the food that we all enjoy. The back of the book includes some extra activities for the children to enjoy and some fun ways for children to interact with other children who've enjoyed the book. My kids love these Ellie books and look forward to receiving a the new ones as they come out. The author uses brightly colored photography and fun fonts to bring life to the pages. The colorful layout will grab young reader's attention. Children will be able to learn all about the farm and parents will appreciate the fun, engaging style of the book. This book would be great in a home or preschool setting. Tons of books have been written about men by men for women, something the author acknowledges. But his intend in writing was to show men how men think and bring home the point that woman can learn to communicate and live with a man without trying to change him or be confused by his action or inaction. He starts off by saying that this book is designed for women with mentally healthy men. It doesn't address abuse or mental instability. The book is divided into five main parts and each part deals with a different aspect, such as communication, thoughts, or actions. The author draws from personal experiences and uses his stories to bring out his points. I was really excited to get this book, but just couldn't get into it. The information was good, the stories were interesting, but I had to force myself to finish it. All of the information was the same stuff I've heard before, but presented with the author's unique style. 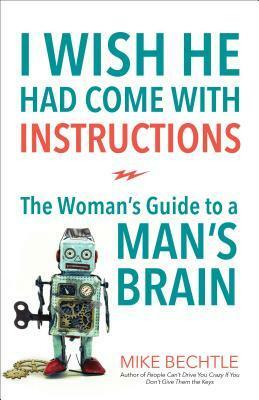 The author did a great job of talking about almost anything a woman might have a questions aobut. I think this would have been incredibly helpful during my first few years of marriage, but twenty years down the road, not so much. Overall, this was a nice book, just not for me. I would recommend it to young woman starting to date, newly married, or in a rough relationship and confused about their husband. 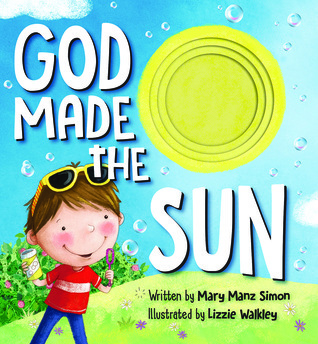 God Made the Sun and God Made the Moon are sweet board books that talk about how God made the sun and moon and all of the blessings that we get from these gifts. The books are small and designed to fit little hands. The font is large, making it easy to read. The vocabulary is perfect for the toddlers the books are designed for. 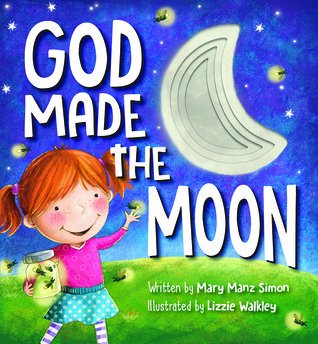 The little sun and moon cut outs are a textural addition to the book that children will enjoy. The bright, colorful illustrations fit perfectly with the text and have lots of details to help tell the story and keep the young child captivated. I really enjoyed sharing these books with a small friend. He loved turning the pages for me and feeling the sun and moon as we got to each one. We talked about the pictures and this opened up a conversation about all of the other wonderful things that God has made for us. The author kept the attention on God and the books end in such a way that they make the perfect bedtime story. I would definitely recommend these books for your small child or for a gift. I received these books free of charge from First Look in exchange for my honest review. Abby started a book club years ago. Her ability to listen and give sound advice, her nurturing personality, and her caring demeanor made her a favorite among the attendees. When she passes away suddenly the four remaining women are lost. 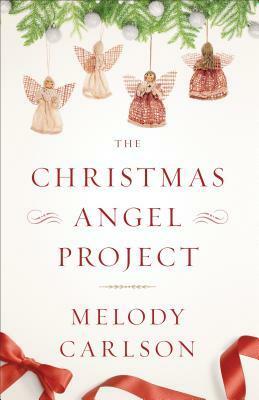 But Abby's last gift to them, little angel ornaments inspires them to do some things they've never done before. The little group of friends will find their lives have changed for the better thanks to the blessings of their caring friend. This was a beautiful, heart-warming story. The point of view jumps back and forth between the four main characters. It flowed smoothly for me and I loved hearing what each woman had accomplished and was feeling about the projects as the story turned back to her. I think every reader that picks up this book will be able to relate to at least one of the women in some way. The author wove an authentic faith, flawed humans, and redemption into a charming Christmas story. 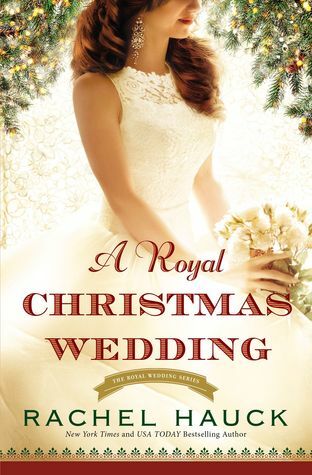 While it has moments of the magical, if slightly unrealistic, it is touching and is the perfect story for the Christmas season.